Ljubljana may be compact, but it boasts myriad architectural styles, a picturesque Old Town and a youthful population who give its bountiful bars and restaurants the energy of a much bigger city. Unlike much of the rest of Yugoslavia, which broke up in 1991, Slovenia’s post-communist years have been relatively trouble-free. It is now part of the EU, increasingly prosperous economically and keen to welcome outsiders. The capital is pretty, with a lively nightlife that blends boozy Eastern European hedonism with calmer, Mediterranean style. While seminal Slovenian architect Jože Plečnik shaped the core of how the city looks, Ljubljana has also been influenced heavily by the Hungarians, Austrians and Italians. These eclectic influences permeate many aspects of city life, including its food and drink. Enjoying an Italian-style gelato is as much part of the Ljubljana experience as savouring hearty Hungarian goulash. 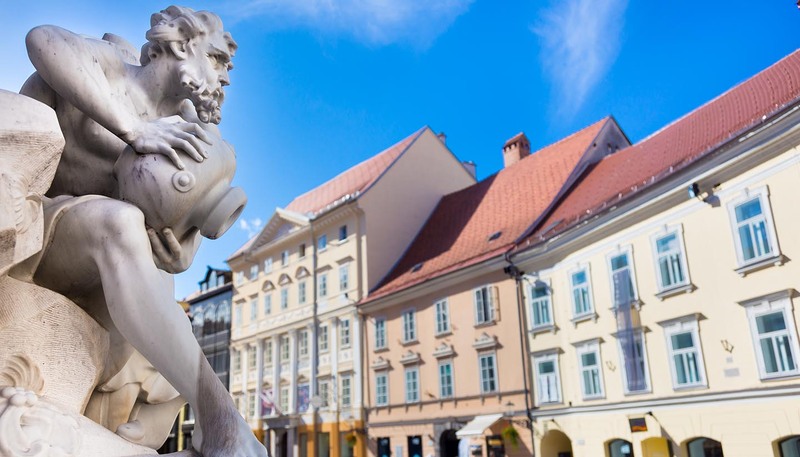 Despite the weight of its history as a crossroads between various competing invaders, from Romans and Huns to Slavs and Austrians, Ljubljana has one of the youngest populations of any European capital. Inhabitants throng the cafés and bars along the river throughout the year. Some of these locales are more tavern-like in style, but increasingly the city is hosting modern, chic bars. Perhaps the coolest pocket of Ljubljana is Metelkova. This former army barracks was first squatted before the city recognised it as a cultural centre. It now serves as a unique zone covered in graffiti and crazy sculptures. Today, almost anything goes in the zone – though ‘anything’ mostly means cool club nights, film screenings and exhibitions by young, experimental artists. The area is also home to the Museum of Modern Art. Other than that, there are a few notable churches worth peeking at and several interesting museums, especially those displaying Roman artefacts. The best way of enjoying Ljubljana, though, is perhaps simply to wander along its winding river and through its pleasant Old Town, soaking up the city’s blended cultural heritage.